If you’re here, it is safe to assume that you already know about the Ulster Archives. But do you know about the Ulster Archives Gift Shop? 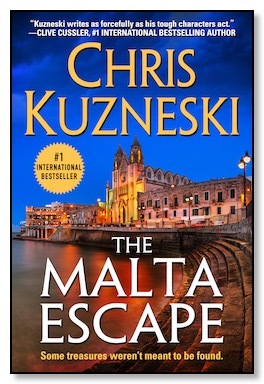 As much as Chris Kuzneski would love to travel the world, signing books for his fans, there simply isn’t enough time. That’s why the Gift Shop was created. Even if you can’t make it to one of Chris’s events, you can still get signed merchandise. 2) Inventory must be acquired from bookstores, not discount wholesalers. The last thing we want to do is hurt bookstores. 3) No geographic limits. Orders from around the globe are welcomed. Done. Done. Done. And...we’ll see. Anyway, enough rambling from me. My stomach is growling, and my personal chef has cooked me a feast. I don’t want to insult the man by letting it get cold. That would be rude. P.S. For those of you who aren't familiar with the Ulster Archives, I have provided a brief section on our history. Other than a good meal and a nice bottle of wine (or two), history is my biggest passion!